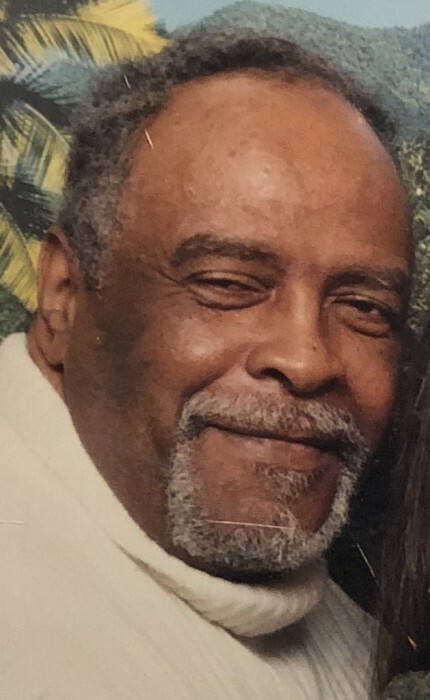 Ronald Gordon Woodfin of Ellenville, NY, died on Saturday, January 26, 2019 at the Ellenville Regional Hospital. He was 79 years old. Ronald was born in Brooklyn, NY on January 20, 1940; the son of the late Myrtle H. Jones. Mr. Woodfin was a hard worker his entire life. Throughout his career he worked as a 911 Operator, a Letter Carrier for the United States Postal Service, a Train Conductor for the New York Transit System, an Intern for CBS and most recently a Security Guard for Camp LaGuardia in Chester, NY. Following his retirement Ronald moved from the Bronx to Ellenville. He attended the New Testament Church of Jesus Christ and this is where he met his fiancé Stephany Purcell. Together they volunteered at the Family of Ellenville. In his down time Ronald enjoyed watching football, doing crossword and word search puzzles, coloring, tending to his house plants and writing. He will be deeply missed and fondly remembered by his loving fiancé Stephany Purcell of Ellenville; his sons, Vernard Woodfin, Troy Woodfin, Windell Woodfin all of Brooklyn and Ronald Clark Jr. of Texas; his daughter, Rashawana Woodfin of Ithaca, NY; his god daughter, Brenda Owens of Ellenville; his god son, Darrell Clark of Covington, GA; 7 grandchildren; his cousin, Charlotte McKenzie as well as extended family and friends. In addition to his mom, Ronald was predeceased by wife Sandra Pauline (Johnson) Woodfin on Feb. 19, 1997 and his daughter, Ava Woodfin. Visiting hours will be held on Saturday, February 2, 2019 from 2-4 and 7- 9pm at Loucks Funeral Home, 79 N. Main Street, Ellenville, NY. A celebration of Ronald’s life will begin at 3pm. Contributions can be made in Ronald’s memory to the American Cancer Society.